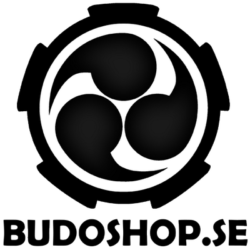 Welcome to BUDOSHOP we have over 100 Bujinkan download video’s from as early as 1988. We recorded most seminars organised by Kaigozan Dojo in Stockholm. Many good Bujinkan instructors taught in our seminars (see the tag cloud below or search). Navigate with the menu above, click Download Movies to see all videos, or one of the sub menus. You can sort the results alphabetically or by date with the menu to the right (Post Sorting). The download files is hosted on PayLoadz, if something is broken please contact their support first. We only offer payment via PayPal. We used to have other stuff for sale a long time ago, right now we only have downloads. It became too much work keeping stock and decided to go all digital. The Bujinkan Kaigōzan dōjō Video Download Store provides videos for practitioners of Bujinkan Budō Taijutsu that want to expand their library. All the profit we make is going to the Dōjō (rent, insurance, maintenance, training gear and stuff). We are a small Dōjō so we would like to thank everyone who bought our videos it really helped us keeping the Dōjō.